In January, 1980, Braillo developed the world’s first double-sided (interpoint) Braille embosser – the Braillo 270, together with SINTEF, a Trondheim based research institute. The first Braillo 270 was delivered to the Tambartun School for the Blind in 1980, where it is still in operation to this day. A smaller interpoint Braille embosser, the Braillo 200, was launched in 1986 and became one of the most reliable Braille embossers ever built. While our customers were pleased with the quality, reliability and speed of this embosser, we decided to develop an even faster embosser for large Braille production facilities. 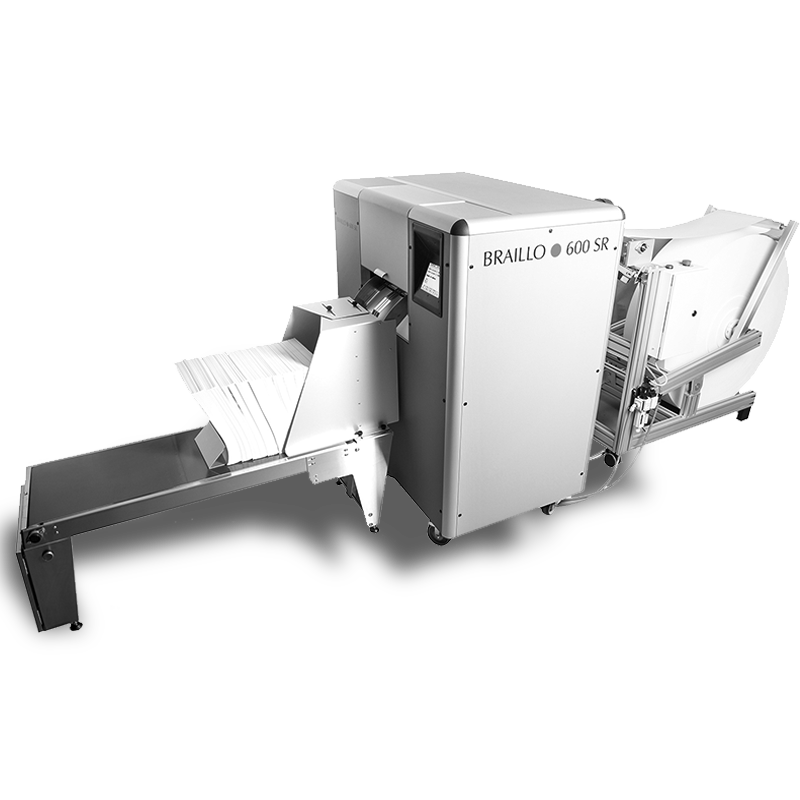 The Braillo 270 was upgraded with faster electronics and mechanics and became the Braillo 400 S. This new embosser consumed boxes of paper so quickly that we needed to develop additional paper handling options. 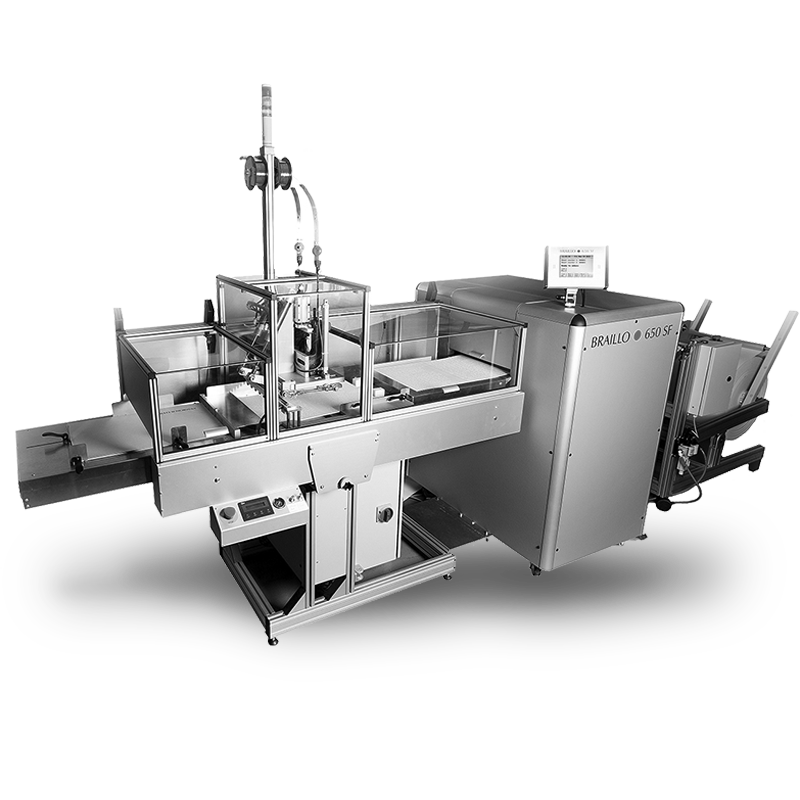 The 400 SR added a paper roll feeder, as well as a built-in cutter and stacker. Shortly thereafter, the 440 SW was introduced and it enabled 4 pages-per-sheet format, providing simplified book production – again a “world first” for Braillo. Finally, the 440 SF was introduced as the world’s only fully automated Braille book production system. This embosser changed the way Braille was produced – simply send a file and pick up a finished, folded, covered and stapled book. 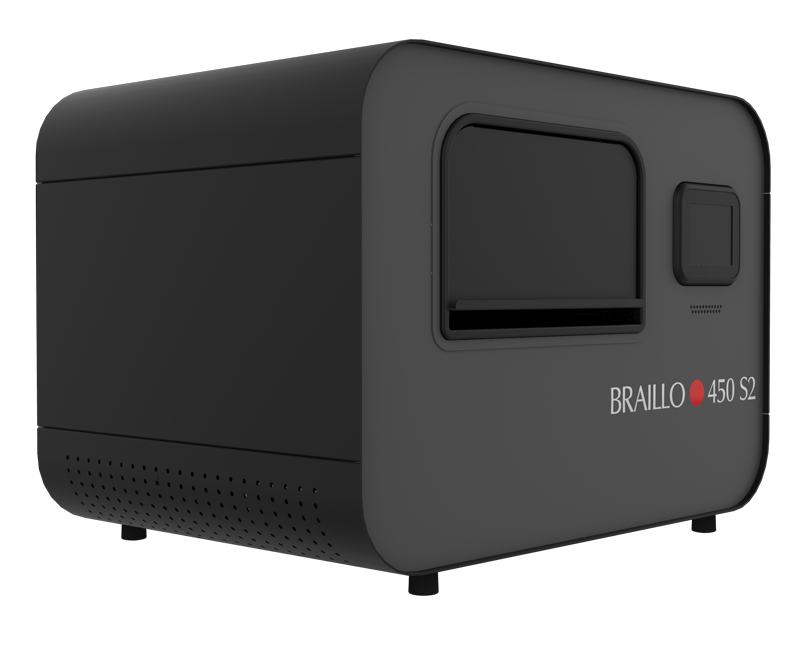 The Braillo 440 SF made “on-demand” Braille publishing possible. We have further developed our range of Braille embossers and in addition to other mechanical and electrical improvements, we increased the speed by another 50%. 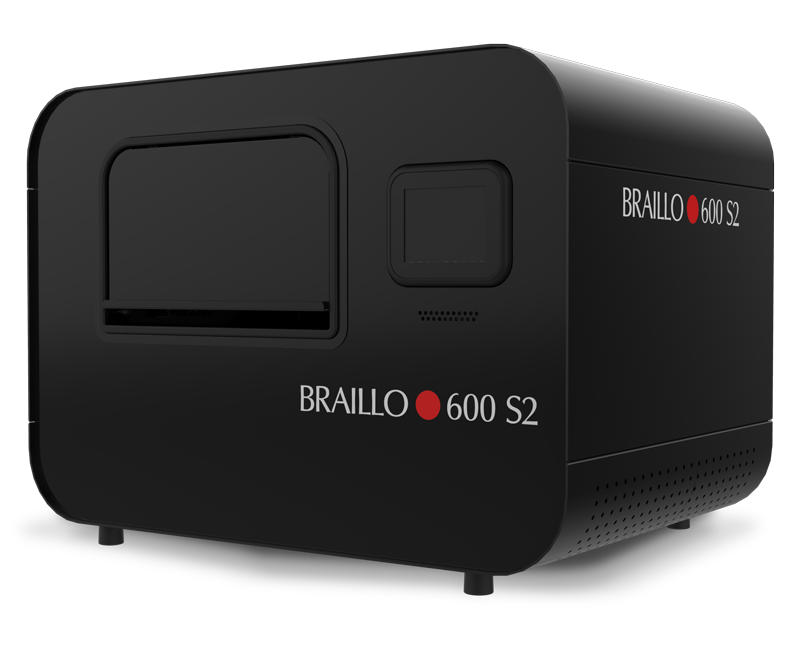 At this time, the embosser lineup is the Braillo 300 S2, Braillo 450 S2, Braillo 600 S2, Braillo 600 SR, Braillo 650 SW and Braillo 650 SF. Since 1980, Braillo has supported Braille literacy and has provided comprehensive solutions for the development of Braille production facilities across the world. We regularly conduct Braille production workshops where regional organizations join forces to produce excellent quality Braille easier and more effectively. We also offer thorough instruction and training – from simple operation and service courses, to complete Braille production center management. While producing high quality Braille embossers is our focus, the importance of tactile graphics is also a priority for us. Therefore, we provide tactile graphics equipment from American Thermoform Corporation and Zychem, as well as the finest Braille paper and Braille labels available. 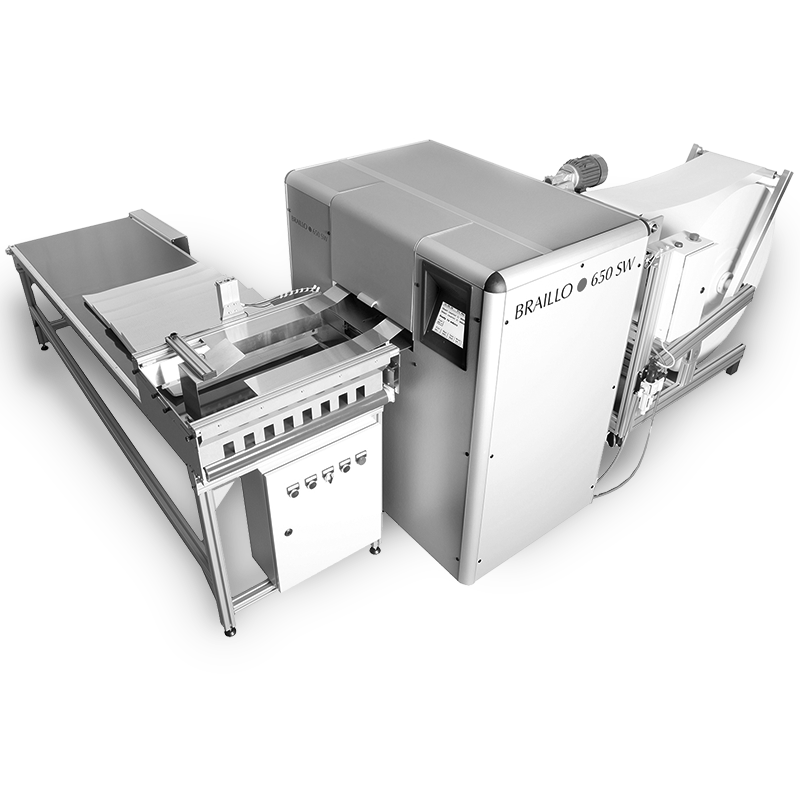 For decades, Braillo has been the market leader in the production Braille embosser segment; the embosser construction and its Braille quality are simply unmatched. The goal of Braillo is simple: to provide the highest quality production Braille embossers and supplies on the market to help ensure blind individuals have access to great Braille – all while offering outstanding service and support. 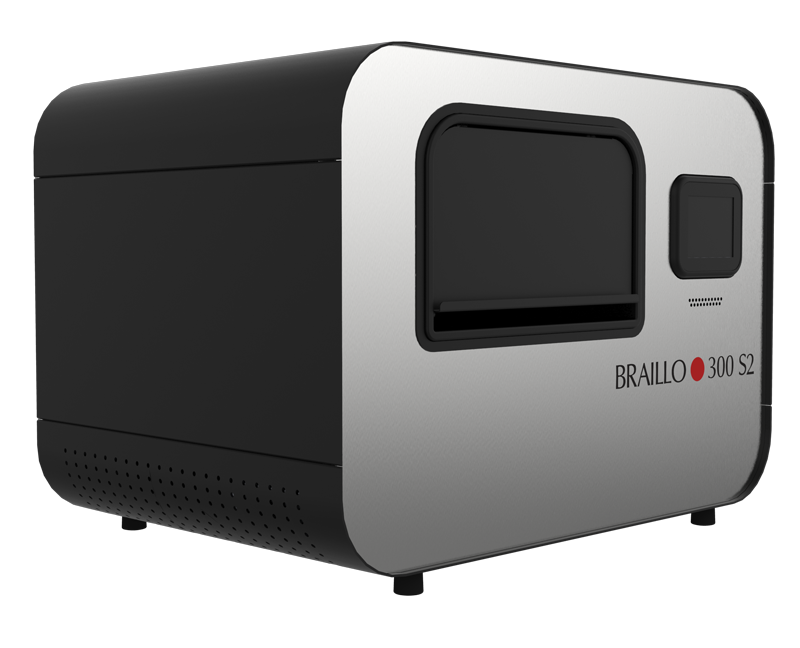 With Braillo, you don’t just get a Braille embosser, you join a team.